As much as you might not see the need for this now, when winter comes along, you’ll be happy to have it! 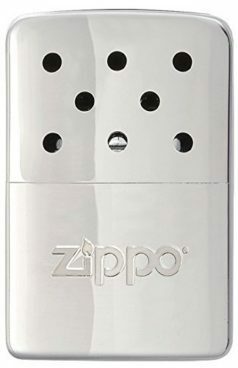 Get the highly rated Zippo 12 Hour Hand Warmer for Only $6.74 (Reg $22)! Sleek, thin design fits into the smallest pockets.The hand warmer needs to be filled with fluid and lit in order for it to work properly. This item does not come filled and the fluid is sold separately.